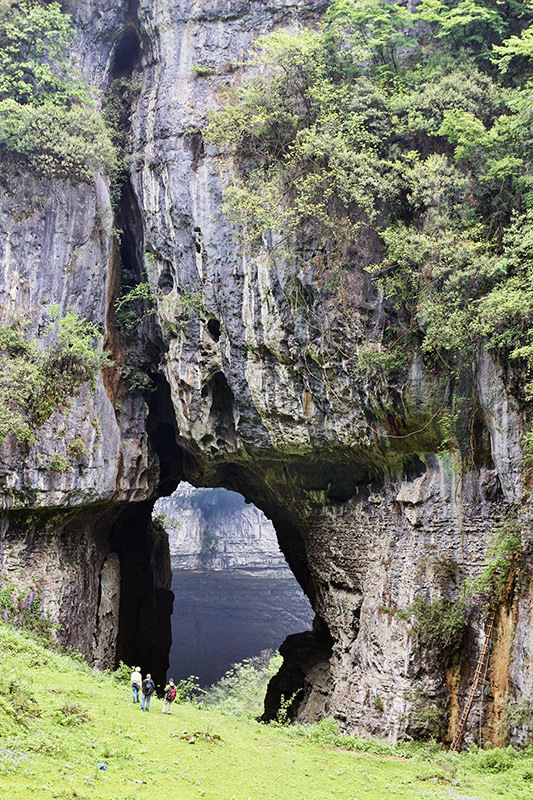 Dachuandong in Guizhou Province, China. Dachuandong has a span of 300 feet as measured with a laser rangefinder by NABS member Gunter Welz in 2015. The height is 135 feet. Note the person with the red daypack standing below and to the right for scale. 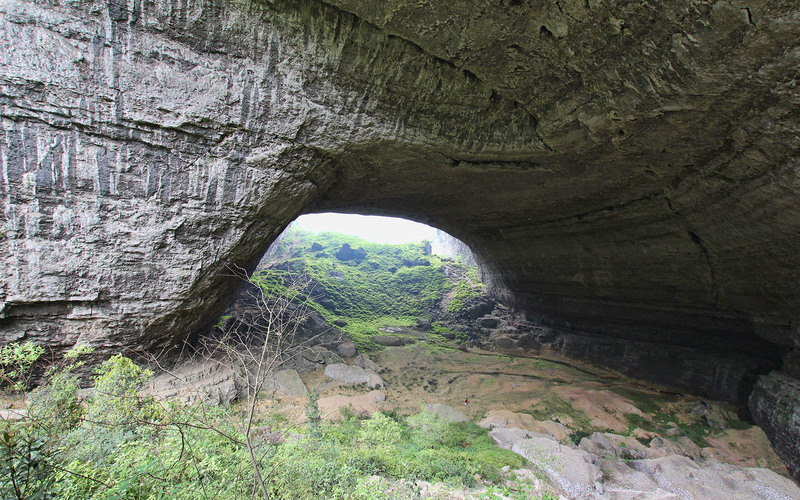 The arch is located near the village of Si Lian about 25 miles by road from the city of Zheng'an in Guizhou Province, China. Close by is another arch named Si Lian Bridge, a photo of which is below. Si Lian Bridge (NABSQNO 48R-723012-3161277) has a span of 34 feet and a height of 102 feet. The ground slopes steeply away through the arch so on first sight less than half of the height is visible.